PRODUCING OVER ONE MILLION TONS OF PRODUCT PER YEAR IS AN IMPRESSIVE FEAT FOR ANY INDUSTRY. At Giant Cement in Harleyville, S.C., this annual quantity reflects the effective strategies implemented throughout their lean manufacturing process. Producing and transporting this amount of cement requires a devoted workforce and equipment that never stops. The 24/7 demands can take its toll on equipment and installing durable scales is integral to keep product moving. Giant Cement requires the most durable truck and rail scales to handle its high volume of trucks per day and constant stream of rail cars so they turned to Carolina Scales when they needed a railroad scale to meet their needs. “Any equipment in this area is going to be put to the test because of the sheer quantity of product they produce,” explains Nate. “I knew they needed the toughest scale possible so I recommended the SURVIVOR SR because of its added strength.” The SR provides increased rigidity and reinforced, easy-access load cell pockets for uncompromising performance and quick maintenance. Utilizing their experience and knowledge of the site, Carolina Scales installed the SR in an optimal location. The new scale towers above a nearby small drainage pit. This ensures any rainfall is diverted past the truck scale and any debris is carried away in the flow. Todd Keisler, head of construction for Carolina Scales, is a maestro truck scale installer. He takes every precaution to ensure the scale will last as long as possible. The optimal installation site was a solid foundation for this goal, but Todd went one step further. He ran all conduit along the top of the scale’s prominent side rails, guiding the system’s electronics away from the perils that led to the demise of the competitor’s truck scale. 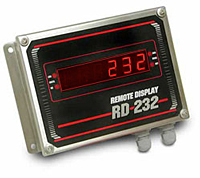 The rail scales are controlled by 920i® indicators, which interface with the factory’s sophisticated PLC equipment. Once a rail car is ready for loading, the delivery chute slowly lowers and self-corrects its position with onboard video cameras. The cameras identify the opening in the rail car and coordinate the chute’s automated guidance system. Once it has successfully created a seal with the rail car, cement powder is released for a few minutes to reach capacity. The next rail car is moved into position and the process is repeated. Giant Cement is always looking for ways to streamline their operation. Reducing downtime and avoiding maintenance costs have captured additional revenue and increased efficiency. Because the new rail scales are more responsive, loading time has been reduced by an average of 5-10 minutes. That increases the factory’s throughput and allows them to process more cement each day. Unlocking durability is the secret to long-lasting scale performance and return on investment. Traditionally, most logging activities are reserved for winter, meaning that we are currently in peak logging season. This is because throughout history, horse pulled carts were the only available method for moving heavy logs. Having a layer of snow on the ground reduced traction, making it easier to drag the heavy load. Though newer methods and equipment exist today, winter has remained a popular season for logging. Logging industry equipment must be robust, should be assembled from the highest quality parts, and should be able to function accurately, even in extreme conditions of cold and moisture. Crane Scales & Hanging Scales – These crane or hanging scales are ideal for taking the first weight of the felled logs (at-site) as they are handled by cranes or winches. These scales boast controlled tensioning, a convenient IR remote, properly lit displays to avoid failing vision in winter fogs and s1 bearing swivel hooks that can endure heavy duty applications. Some models like the MSI can even take note of the number of weighments and the total weight. They come with user-defined Peak Load warnings to prevent accidents and machine wear and tear. Truck Scales – Carolina features a large and diverse roster of manufacturers in this niche, including but not restricted to Intercomp, Rice Lake, B-Tek and UniBridge. 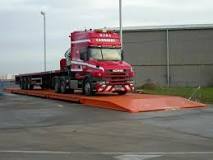 There are multi-truck scales available, as well as retro-fitted custom pieces. From portable alternatives to scales for steel and concrete decks, there are models and variants for all heavy duty purposes. Ideally truck scales should be able to weigh all road vehicles and their loads without malfunctioning or needing frequent replacements. Carolina Scales’ recommendations are a perfect blend of durability and weight sensitivity. Carolina Scales embodies reliability, top notch quality, and parts longevity. To know more about how our products support the logging industry, write to us at: info@carolinascales.com. Every ounce counts. It truly does. Weighing accuracy is undergoing drastic changes with the rising popularity of concepts like big data management and data aggregation. What was once an isolated practice of noting weights of cargo and consignments is now a connected and important activity. Thanks to sensors and intercommunication standards like Modbus, Devicenet and Ethernet companies can monitor weight measurement results from factories, ports, terminals and warehouses to have a very clear idea of how their goods are being handled and if there is any tampering with sealed packages. Weighing is generally conducted at touch points. And there might be a number of factors hindering proper measurement. One of the most widespread of these is low visibility during inclement weather or at night. In order to combat this issue, the use of backlit remote displays is recommended. An ideal display unit is bright, has a non-glare lens, is of high intensity and offers immediate augmentation of visibility. Carolina Scales is a purveyor of such quality products that are compatible with a variety of digital weighing indicators. Inclement weather at ports and terminals can cloud vision and confuse ‘callers’. Fog and mist are common annoyances and they plague data read out of package weights. A crisp, sharp display cuts through the haze and offers accurate readings. Loadings and un-loadings at inconvenient times of the day may also require visibility aids to facilitate proper weighing. Early mornings and late nights are particularly susceptible to errors. Read outs that have displays in bright colors like red help improve visibility. Weight measurements that take place in poorly lit quarters like warehouses that are typically dim also benefit from remote displays that are back-lit and thus do not require the presence of additional natural or artificial light for spot on readings. Factories and settings that produce a lot of dust and smoke, like foundries or steel mills need sharp remote displays for accurate measurement recording. Carolina Scales has been serving customers for well over 60 years and is a well-established supplier of weighing accuracy equipment like balances, check weighers, counting scales, crane scales and remote displays of unparalleled quality and precision. If you would like to know more or request a custom quote, write to us at info@carolinascales.com. As the United States begins to re-invest in critical infrastructure and continues to build taller buildings, we need to recognize the hazards that accompany working with heavy equipment such as cranes. In May, ten injuries were caused, traffic was diverted, and thousands of dollars of property damage were caused when an air conditioner broke free from the crane that was lifting it in midtown Manhattan. In July, in Pembroke Pines, Florida, a crane overturned and caused damage to its load due to being overloaded. In the Chicago area in August of 2012, a crane that was lifting a gantry section for an overhead railway signal fell across numerous train tracks due to the load being too heavy, disrupting train traffic for hours. Overloaded cranes regularly cause damage to infrastructure such as water lines, roadways, sidewalk, and more – often, these problems aren’t even noticed until after the crane has left the site. Had construction crews been using crane scales, and paying attention to the cranes’ weight requirements and load capacities, these accidents may have been avoided. There are numerous other incidents that happen on a worryingly regular basis, leading to damage, injury, and sometimes death, that can be avoided through the use of specialized weighing equipment. Make sure that if you are using a crane in your summer construction project, you are also using a crane scale to prevent accidents from happening. Carolina Scales is a trusted supplier of crane scales and hanging scales. These scales measure the weight of a load being lifted before it is suspended from a crane, hoist, or winch. For more information, please feel free to call us at 1-800-277-2439, or email info@carolinascales.com. Providing Weighing Equipment and Services Locally and Across the U.S. Although Carolina Scales is based out of South Carolina, we sell industrial weighing equipment to customers across the United States. Such customers include warehouses, shipping companies, medical suppliers, construction crews, and more. We have the ability to ship everything from balances to floor scales, bench scales, crane scales, indicators, load cells and everything in between. When a customer is looking for accuracy and reliability, Carolina Scales has the products to give them exactly what they need. While our service area includes the Carolinas and Georgia, we’ll also assist customers throughout the U.S.
Not only do our customers get high quality weighing devices, but Carolina Scales offers software that matches each product for optimum functionality. The software is integrated for all parts and has the ability to scan, manage inventory, and streamline record keeping. Some equipment even has software that can give detailed transaction and productivity reports. The software runs off of any PC. This is just one example of how we work to best serve our customers. In addition, we maintain ISO/IEC 17025 accredited calibrations. A company must first adhere to strict standards outlined by the International Organization for Standardization. Then, getting certified requires an independent company to observe and track how we are manufacturing products so as to make sure the standards are being met. This takes time and a commitment to doing what is best for customers and the environment, and Carolina Scales believes this is the right way to conduct business. Carolina Scales services local customers throughout the Carolinas and Georgia, although we are more than happy to service any balance, scale, or other piece of weighing equipment that is sent to us from customers who are located elsewhere in the country. We are dedicated to providing the highest customer service. When you call on Carolina Scales, you can rest assured knowing you’re getting a quality product from a quality company. Now that it’s finally June, we’re officially moving into rental season for a host of industrial equipment. With numerous construction and inventory related projects getting underway across the country, the need for balancing, weighing, measuring equipment is hitting its peak. For many companies, taking an official inventory of products only occurs a few times a year, and may not warrant investment in related machinery. While it may seem prudent to buy a bench count scale, floor count/weight scale, or a warehouse weight scale, remember that each of these pieces will require regular maintenance and calibration to ensure accuracy. In addition, business owners would need to provide adequate storage for all of these measurement systems, taking into account factors such as damaging moisture, temperature control, etc. In many cases, it’s much easier and more cost effective to rent counting scales and weighing equipment on an as-needed basis. 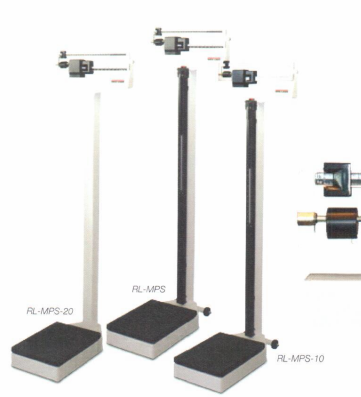 Another benefit of renting measurement equipment is that the scales are delivered pre-calibrated with a trained technician to teach end-users how best to use each piece. This saves businesses time and money since improperly trained staff may not know how to use each system otherwise, and can accidently damage products or get incorrect readings. Carolina Scales serves a wide range of customers and industries in our rental scale division. We offer warehouse weight scales, truck scales, and more. Whether our customers are looking for a small counting scale for precision product inventory, or an ATV truck scale, we have all bases covered. 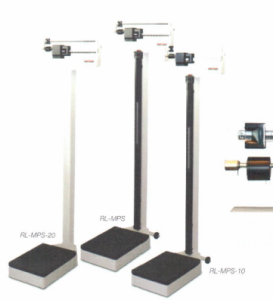 We will deliver pre-calibrated rental scales to fit your needs. And rest assured that a trained technician will be available to assist you in the setup of your weighing system. For more information about our rental scale options, please call 1-800-277-2439 or email service@carolinascales.com. We look forward to helping you in all of your summer projects and inventory needs. When monitoring patient health, it’s vital to have accurate readings of all health indicators. In many cases, weight fluctuations can point to numerous health issues. This is why it’s important for doctors to have scales available at their practice – because even if a patient seems sure of their current weight, they may be unaware of recent losses or gains. And for patients who lack access to specific scales for their particular conditions, it’s even more important for a doctor to provide this access. When many people think of scales in doctor’s offices, they likely picture the ubiquitous physician scales that are prevalent among primary care physicians. But there are many more types of scales designed for the healthcare industry, some more well-known than others. In pediatric offices or the maternity wards of hospitals, for example, the most common scale you’ll find is a baby/pediatric scale. These scales are designed to easily weigh an infant or small child with minimal fuss and discomfort. On the other side of the spectrum, larger adult patients who exceed standard scale weight requirements will need to use a bariatric scale. Bariatric scales can carry and accurately display a much higher maximum weight than most others, and are built to withstand hundreds of pounds of weight. For doctors who specialize in bariatric surgery and weight management, these scales are a must for tracking patient progress. For adult patients who are unable to stand unassisted, wheelchair scales offer a perfect alternative and include ramps for convenience. And the Summit Dialysis Scale is similarly designed for wheelchair accessibility if needed, and also includes a heavy-duty handrail for additional support. But not all medical practices deal with human patients; in veterinary offices, a scale built for people simply won’t work. Instead, veterinary scales feature a larger platform to accommodate four-legged creatures – whether they choose to stand or lay down on the scale. By providing access to the specific types of scales patients need, doctors can have a better understanding of their patients’ overall health, wellbeing, and progress. If you’re looking for a specialized medical scale in South Carolina, visit Carolina Scales online or call 800-277-2439 to find what you need. Quality assurance is vital to all manufacturing operations, but is especially necessary in food processing. Foreign contaminants, including metals, can seriously endanger the health and safety of consumers. Just recently, Kraft was forced to recall 242,000 cases of its popular Macaroni & Cheese Dinners due to metal contamination. As per the FDA Food Guidance Regulation document, foreign objects in food can have serious implications if ingested. Specific types of injuries that can incur include lacerations of the throat, mouth, or intestine, as well as damage to the teeth. As for particularly small fragments, they can seriously injure infants, older people, and surgery patients. Given the dangers of having metal fragments in food, the FDA’s Health Hazard Evaluation Board supports regulatory action against products with foreign objects between 0.3 – 1 inches. Metal contamination can come from a variety of sources, including equipment throughout the production cycle. If a part becomes loose on a machine, it may enter the food product. Similarly, equipment that grinds together or becomes corroded may produce small metal fragments that enter the food supply. With the dangers apparent at every step in food processing, it is important for manufacturers to integrate metal detection technology throughout the food production cycle. A visual check of equipment is not satisfactory as damaged or missing parts in complex machines may not be apparent. That is why it is highly recommended that food manufacturers incorporate metal detection controls in their processes. As different systems detect different sizes of metal and vary by packaging options and flexibility, manufacturers should choose one that is designed to meet their specific requirements. Carolina Scales is a trusted supplier of metal detection products for the food processing industry. To find out what system will best serve your needs, please feel free to request information online or call 1-800-597-7918. It’s that time of year, when seasonal items like chocolate and heartfelt cards are exchanged between couples, family members, classmates, and even colleagues. Rather than settle for the standard box of chocolate found on any shelf, why not try something new this year? We’ve rounded up some local South Carolina food producers that have everything you’ll need for a memorable Valentine’s Day. Cacao’s Artisan Chocolate is one company that proves you can use chocolate for just about anything. In addition to pre-made chocolates available for purchase, Cacao’s provides custom work and takes part in events for aspiring chocolatiers. On February 13th, for example, they’ll be at the Mixson Market in North Charleston helping patrons put together hand-made gifts that include chocolate from Cacao’s and items from other vendors. If you’re looking for chocolate that makes a more visual impact, Christophe Artisan Chocolatier-Pâtissier has everything you could ask for and then some. Aside from the unique flavor options, the chocolates themselves are truly a work of art. The Hand-Painted Collection must been seen to be fully appreciated. With chocolates that are painted vibrant shades of pink and red (and even blue and green), anyone opening a box will be immediately awe-struck. 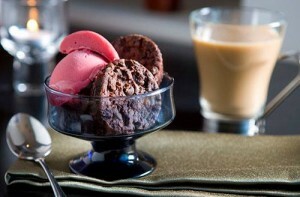 If your Valentine isn’t a fan of chocolate, Charleston Sweet Gourmet might be able to help. They have a wide variety of Retro Candy that includes Mary Janes, Bit-O-Honey, and Tea Candy. And for those looking to spice things up, they also offer some unorthodox options – including Jelly Belly Tabasco Jelly Beans. Alternatively, the food at River Street Sweets may not seem that unconventional at first glance, but when’s the last time you received a Pail of Pralines or a Box of Bear Claws for Valentine’s Day? Any of the products offered here are sure to be well-received. And with retail locations throughout Georgia and South Carolina, there’s probably at least one nearby for you to visit. meyer offers a wide range of baked goods and ready-made dough – which is what really sets them apart. On their website, they feature a Recipes & Serving Suggestions page that includes tutorials on how to make inspired creations using their dough as a starting point. Our favorite pick for Valentine’s Day is the Heart of Hearts Cookie recipe. At Carolina Scales, your business is our business. Just as local chocolatiers work hard to help their customers find just the right product, it’s our goal to provide retailers with the tools they need to run a successful company. Using accurate food weighing systems, businesses can create uniform product batches. This ensures minimal waste, and that each customer is getting the amount of candy that they paid for. In addition, local companies often provide a greater attention to detail when crafting their products (as you can see in the above examples), and create a more personalized shopping experience overall. So if you really want to impress your date (or kids, friends, or co-workers), head to a local store this Valentine’s Day instead of a big box chain. When you need accuracy, Carolina Scales believes that “Every Ounce Counts” and we’re here for all your weighing needs. Whether your business carries you outside on the road or keeps you in a laboratory, measuring can mean the difference between the right solution and the appropriate load. Carolina Scales can offer a solution for your business no matter what the application. Our experience in the weighing industry has earned us respect from other scale companies and loyalty from our customers. 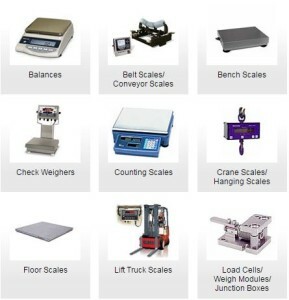 Carolina Scales offers balances, crane scales, conveyor scales, medical scales, weight indicators, wheel loaders and even truck or rail scales. In addition to providing scales for any industry. We even offer software and traceability systems in conjunction with our scales. This software can be custom built for your needs at your facility. Using the correct weighting equipment for your industry not only streamlines your workload but offers accuracy when it counts the most. Carolina Scales can offer your industry what it needs to be a step above the competition and provide certified scales to safeguard your business against any legal for trade issues that may arise.